They say baking is a science and while there's definitely truth to that, I don't think it's gospel. Especially when making bread. 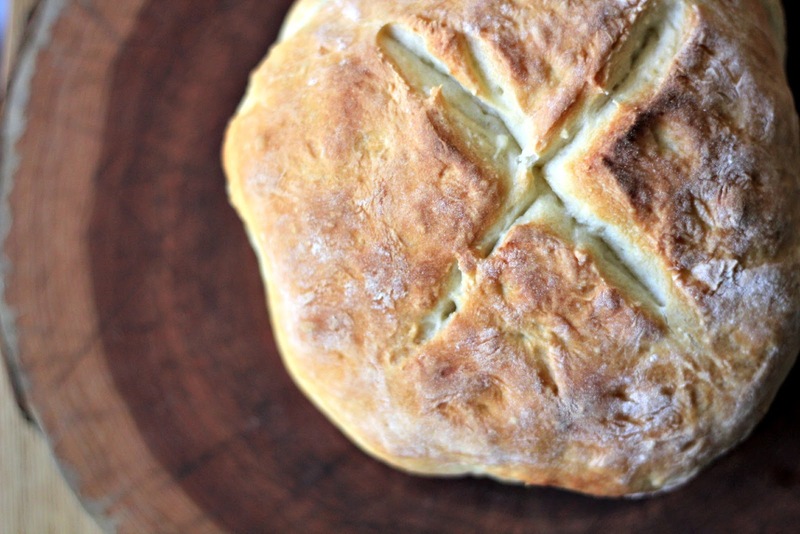 This no-knead recipe is "Rebel Bread" because it breaks baking rules. Not only is there no kneading, but the measurements tend to vary depending on who's making it and the moisture in the air. But don't be scared of the inconsistency. 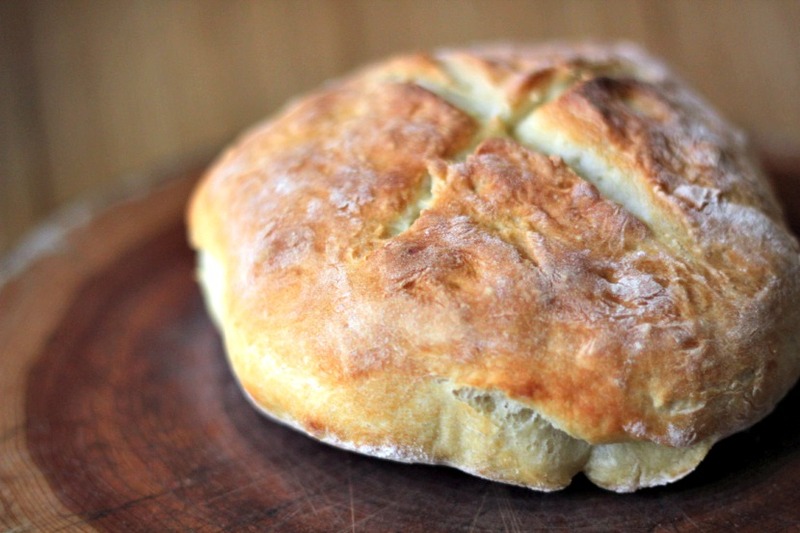 At the end of the process you're going to have yummy homemade bread. 1. Add the yeast, salt and 3 cups of flour to a large bowl. 2. Stir in the water until just combined. You should have a very wet dough. If the mixture is too wet (as in soupy) add the remaining 1/4 cup of flour. If it's too dry (as in not very wet), add warm water a teaspoon at a time until it comes together as a wet dough. The wetness of the dough really depends on altitude, weather, etc. It's not a big deal though, just go with it! 3. Cover the dough with plastic wrap and let it sit at room temperature for 3-5 hours. You can bake it as soon as three hours after sitting. If you haven't made it after five hours of sitting, you'll need to store it. Do this by placing the dough in a large tupperware with the lid kept slightly open. Keep it in the fridge for up to a week. 1. Preheat your oven to 450. Cover a baking sheet with parchment paper or a light sprinkling of cornmeal. Fill a small cake pan with some water and set a aside. 2. Sprinkle some flour onto a clean counter top. Sprinkle flour on top of the dough and pull it out from the bowl onto the floured counter top. Cover the dough with another sprinkle of flour and shape it into a ball. Place the ball of dough onto your baking sheet and let it sit for 30 minutes. 2. With a cerated knife, cut a shallow X into the top of the ball. 4. Put the dough and the baking pan of water into the oven and bake for 30 minutes. The top of the bread should be golden. If it's not golden bake for another 5 minutes or so. 5. Let the bread cool for at least 30 minutes before cutting into it. It's going to seem like an impossible task, but cutting into bread before it's cool will result in gumminess. You'll notice vague words like "some" and "or so" in this recipe. It's ok. Use intuition and faith and at the end of the process you're going to have delicious homemade bread.